Hey y’all! Yesterday I realized that I hadn’t baked anything in TWO weeks. I couldn’t believe it! I haven’t gone weeks without baking in a very long time. Then I had a light-bulb moment — maybe that’s why I’ve been having such a crappy week. Baking is my therapy (so is eating the baked goods XD) and so yesterday afternoon I finally got to the kitchen and starting whipping up these muffins! Why vegan, you might ask? My little sister Mia decided on the diet change a couple months ago and since then, my family and I have been having so much fun experimenting in the kitchen to accommodate her. We also had some strawberries I didn’t want going to waste. 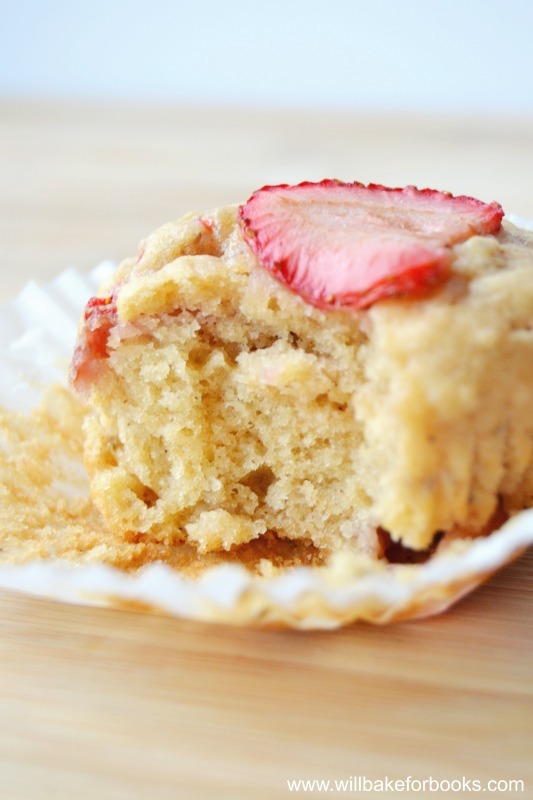 So, strawberry muffins a la vegan! (Hehe.) 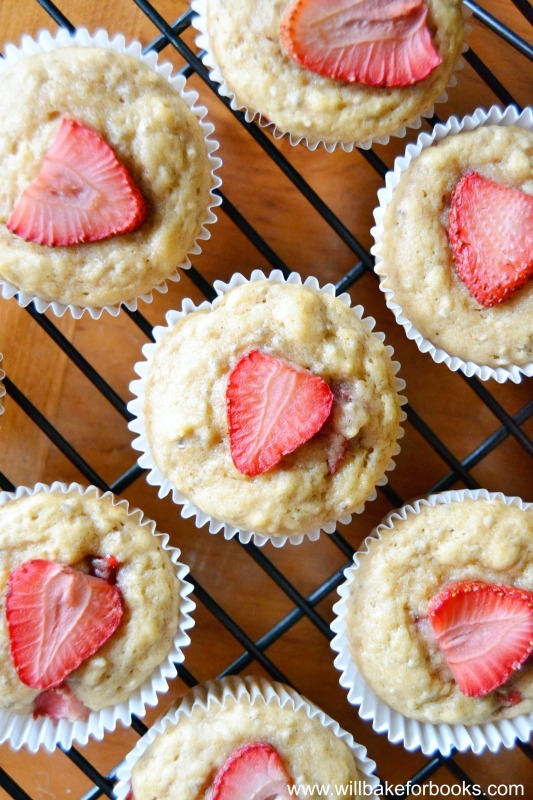 These muffins are not only vegan, they are refined sugar free as well! I used half wheat flour and half white flour — something I like to do with muffins/cakes. The result is a rich yet lightly sweet muffin with a soft texture. The strawberries add bursts of flavor, as does the pinch of cinnamon! 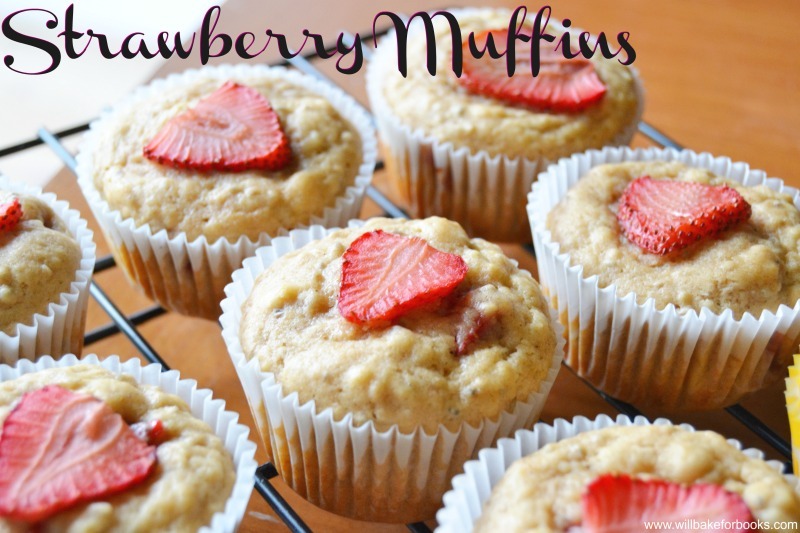 Perfect for breakfast or when you just want something healthy to satisfy your sweet tooth. I totally forgot to spray my liners (which is an important step!) but I wanted to show you the cake-like softness these muffins had. Anyways, feel free to ask any questions you may have below and I’ll do my best to answer. Here’s the recipe! 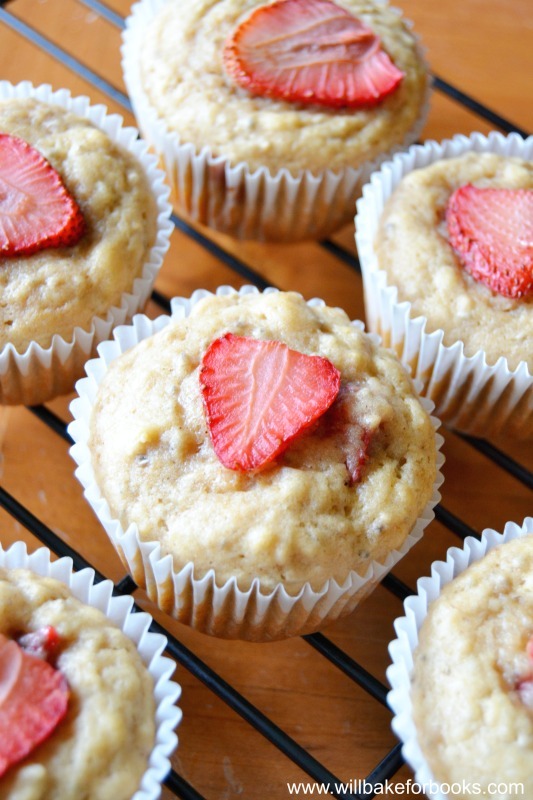 These vegan and refined sugar free Strawberry Muffins are perfect for brunch or for satisfying that sweet tooth. Decadent and healthy! Preheat the oven to 400 degrees F and line a muffin pan or grease with coconut oil. If using liners, spray with coconut oil spray to insure the muffins don’t stick! First, make the chia egg. Mix one tablespoon of chia seeds with three tablespoons of water and refrigerate for 15 minutes. Mixture should be thick and egg-like. If it’s too thick (more so than an egg would be) add another tablespoon of water. Dice 1 cup of strawberries into dime-sized pieces. Slice the ¼ cup and set both aside. In a large bowl, whisk together both flours along with the baking powder and cinnamon. Make a well in the center and add the maple syrup (or agave) and vanilla. Do not mix. Place ⅓ cup melted coconut oil into a 1 cup measuring cup– add the chia egg and then enough almond milk to fill the cup. Pour in the center of the flour mixture and mix well. Fold in the diced strawberries. Let rest for a couple minutes. Fill muffin cups almost to the top and place a sliced strawberries on each muffin. Bake for 12-15 minutes, or until toothpick comes out dry. Enjoy immediately warm or keep in airtight container for up to 5 days. What kind of maple syrup do you use? Just regular or a type that’s pure maple syrup? Thank you, Jess! I admit, I’m a bit of a sugar-holic, but I’m trying to keep it to a minimum and create more recipes without it. I’m really glad to hear you’re planning on trying out these muffins! I hope you really enjoy them. 🙂 Thanks so much for stopping by!